Jim Clemens Collection No.32. 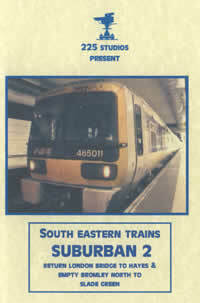 The third in our miscellany series covering London Midland steam. Using mostly unseen film taken from the Jim Clemens collection it is largely assembled in the order the film runs off the original cine reels and has coverage across much of the Region. We visit Bescot in December 1964 to witness the end of the LNWR Super Ds, Carlisle Kingmoor shed in both 1964 and 1967, the Crewe to Carlisle line behind 'Coronations' and 'Britannias', the last day of the Stanbridgeford to Leighton Buzzard line in June 1962, the Wolverton to Newport Pagnell branch in August 1964 and group action at Lichfield Trent Valley in 1963. Next we travel to Bromsgrove for scenes on the Lickey Incline between 1961 and 1964, including the now-preserved Jubilee Kolhapur making an unaided ascent on a freight train. We continue along the 'loop line' from Barnt Green, through Redditch, Alcester, and Evesham to Ashchurch just before its closure as a through route in 1962. 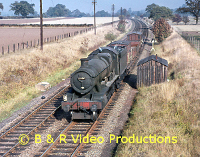 Onwards to the Worcester area and then along the branch from Ashchurch to Tewkesbury, Ripple, and Upton-on-Severn in 1959 and 1960 with 4Fs and 3Fs. This is followed by scenes at Halesowen, Dowery Dell Viaduct, Saltley shed in November 1961, the Gloucester area and Bristol Temple Meads between 1960 and 1965. 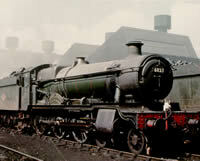 A visit to Birkenhead shed in February 1967 sees a profusion of 9Fs plus the end of the 'Crabs'. 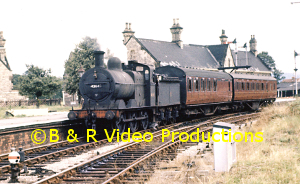 There is footage of Shrewsbury to Ruabon line, Wrexham, Chester in the mid-1960s and Northwich, Patricroft and Lostock Hall sheds at the beginning of 1968. The last train is seen over the SMJR from Stratford to Woodford Halse in April 1965 with a 4F and we visit Banbury in the summer of 1966 with Black 5s. 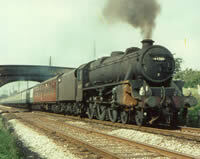 Finally there are visits to the branches from Bedford to both Northampton and Hitchin in 1959 hauled by Ivatt 2-6-2Ts. There is something for all LM enthusiasts with a variety of classes ranging from 'Coronations', 'Royal Scots', 'Jubilees', and Black 5s, all the way down to even 2Fs - a London Midland delight!! 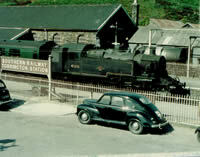 Cover photo:- Jim Clemens3F 0-6-0T No.43645 at Ashchurch in 1961.